I met up with an old friend for lunch last week. I don’t see her nearly enough, and last time I saw her I was still a meat-eater. We were catching up on life and she asked what hobbies I’m up to lately – crafty-wise, and I drew a blank. I haven’t been in the make-stuff mood (or with the house projects and work and everything else I just haven’t had the time). But I realized I totally don’t feel like I’m missing a creative outlet these days because I still gotta eat… and thus, I’m still always cooking something new! I rarely repeat recipes. I have a few regulars that come up in the rotation like vegetarian chili, lettuce wraps, spaghetti sauce, vegetable curry, and black bean burgers (above pic! )- but those don’t require a recipe anymore and may be pretty far from their original source by now. I think of them as my own at this point. Instead I cook based on ingredients I have. Maybe this is backwards, but I buy things that seem weird or interesting, then Google how to use them. I hate wasting food. If I make something I don’t love, I find a way to doctor it up or use it in something else. I made some hummus a few days ago and it’d been sitting in my fridge making me feel guilty since the day I made it! (I can’t afford to eat it every day – hello! Those snack calories add up!) So tonight I whipped up the Chickpea Cutlets from the Veganomicon cookbook (with the mushroom gravy of course! ), and instead of cooking the entire amount of chickpeas, I cooked half, then stirred in the hummus, too! They were DELISH! And I felt so super clever. I don’t know how to make really basic things. When I was a meat eater, I never cooked a steak, a whole turkey, or really pork of any variety. It intimidated me. Vegetarian cooking is easier – Vital Wheat Gluten? Nutritional Yeast? Sure! For some reason, those lesser- known, hard-to-find ingredients don’t freak me out even though I have no idea how to poach an egg or how long to bake a potato in the oven. Seriously. (I have another philosophy that people who hate cooking just don’t understand there’s more to life than meat and potatoes. I’d hate that, too). I am not a baker. I do it sometimes but it stresses me out and I kinda sorta hate it. There’s too much measuring involved! Just like crafty folks are always looking to hack overpriced home decor, I can’t eat out without trying to dissect the meal. I had some spinach enchiladas last weekend at my fav place for our anniversary date and drove myself INSANE trying to figure out the cream sauce. I could have devoured the entire plate there but brought home half just to better inspect. No joy. I’m even more impressed with that joint – the mystery! In my opinion, there’s almost nothing some herbs can’t fix. Cilantro or Rosemary are my favorites and one of them can usually rescue a dismal recipe. Oh yes, same with salt! People who are anti-salt are so weird to me. A little salt does wonders! I refuse to feel guilty for adding some salt to my veggie-heavy recipes! I am constantly surprised by the taste perfection of weird-sounding combinations. Pears and gouda, Jalepeno Blackberry jam, cilantro and watermelon salsa. It amazes me they don’t become mainstream. The first time I had Pear and Gouda pizza I thought – how is it I am just discovering this?! I would love to have a cooking blog one day, but I don’t feel I have the time for it now. It’s gotta be a LOT of work (the photo-styling/editing alone intimidates me, let alone inventing recipes!). But I haven’t counted it out. There are so many good ones out there and they are so inspiring. I love people who love food. Food matters. It’s tradition, it’s social, it fuels us. 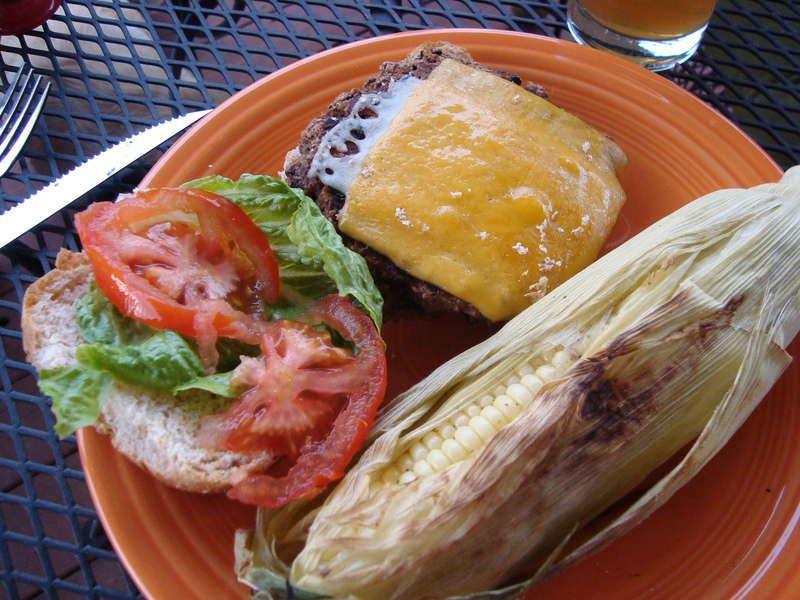 What we eat (or don’t) is a social /political statement, and it defines us. Cooking for someone, something good for them, is one of the most loving things you can do whether it’s appreciated or not! And a large food-budget, assuming you are buying good quality stuff and making your own gourmet dishes – is totally a justified expense! If you can afford it, there’s no reason you shouldn’t be feeding your family and yourself things that will make you fulfilled and happy and healthy. So how about you? What are your confessions or weird ideals about food and cooking? I totally love food too. The textures, shapes and of course flavors. I do like meat, fish, poultry and have it several times per week. Some of our meals are veggie/pastas of some sort or beans. Growing a garden in summer gives us an abundance of veggies so less meat eating when the harvest comes in. I love to bake, but since we’re empty nesters, I don’t want too many goodies around. I truly think that a good balance is best and certain things in moderation. A good diet makes for happy and healthy people I believe. And…….it’s so fun to experiment! Can you post the recipe for the bottom photo? It looks delicious. Fifi, it was delish! 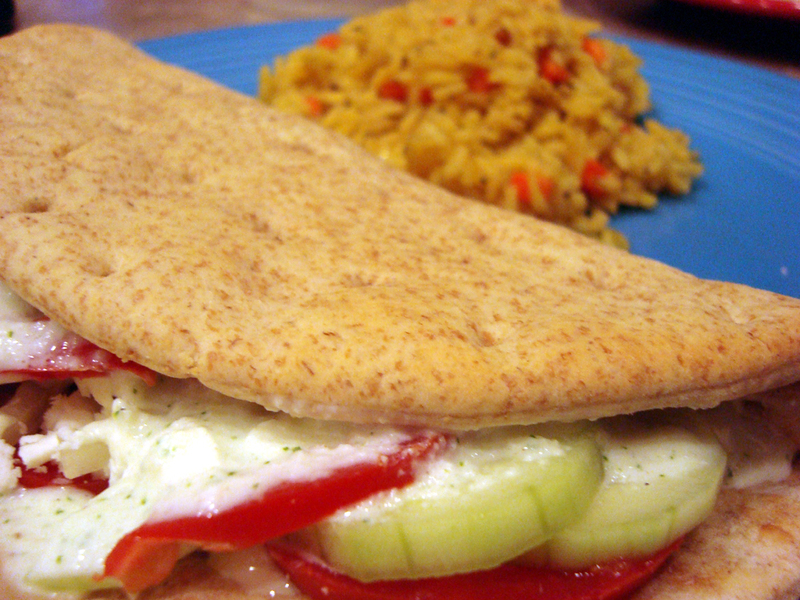 It’s a simple veggie gyro with tomato, lettuce, cucumber, feta cheese, and tzatziki sauce wrapped in a deli-made pita. The recipe for the tzatziki is right here: http://greekfood.about.com/od/dipsspreadspures1/r/Tzatziki.htm – it makes a LOT, but luckily it is tasty on lots of things, even a simple salad. I made the lemon rice in the background, too, but it wasn’t the best recipe so I wouldn’t recommend it (in fact, I deleted the link as I never plan to make that particular recipe again). I’m sure you can do much better Googling a new recipe! 🙂 Good luck!